On a more serious note though, I followed the commentary and heard all the quotes and I just kept thinking "what about the spaces in between? The life he lived- between the quotes. What was he like as a husband? How did he change through the years? What was he like as a grandad, given the experiences he had. What was he like as a man, when he wasn't in the spotlight? All these questions got me wondering: what does a life of significance look like? How can we know for sure that our life has meaning? This week's piece is about my answers, but I'd love to hear yours, so please feel free to send in your comments. My first point is that life is made up of high points, low points and all the points in between. Or in the words of Forrest Gump: "life is like a box of chocolates, you never know what you're gonna get". I'm sure I'm not the only one, who sometimes thinks, "enough already with the low points!" But the truth of the matter is that most of us wouldn't be the people we are, if we hadn't had all the experiences we've had. I truly believe that nothing we learn is ever wasted. It could be that one hideous experience you had, that qualifies you to help out someone else in the exact same predicament. Because let's face it, there comes a time when we aren't interested in platitudes anymore. There comes a time when someone tells us they know how we feel, we want to know that they really do! When we act like we've got everything right we imprison ourselves and other people in the myth of the 'perfect' life. On the other hand, when we share our struggles, we set ourselves and others free and the advice we offer is so much better, because it is tempered by our lived experiences. Secondly, I'd say that some of the most important lives are the ones that are lived in quiet significance. The neighbour who can always be counted on in a crisis; the acquaintance who comes through, when friends don't, the quiet old lady down the street, who turns out to have donated a whole heap of money to her local schools and other charities. When I look back over my life, there are 3 people who have been quietly significant in my life. My english teacher who recognised my passion for reading and helped me to cultivate a lifelong love of reading; a boss who saw my potential and encouraged me to go off and read law and my best sister-friend who constantly teaches me and challenges me to be a better person. When they die they aren't going to get a State funeral like Nelson Mandela, but to me they are special. When you look at your life, who are those people who are quietly significant? What experiences have you had that could help someone who is struggling? The pomp and pageantry of Nelson Mandela's funeral is over and for the rest of us, life goes on. But it doesn't have to go on in the same way. Nelson Mandela left us with a rich legacy. A legacy that shows us how to live a life of significance, a life of value. We can honour him and keep his legacy alive by living out the lessons he taught us. Because, in the end a life of significance is simply one that is spent, living out our divine purpose. Whether it's lived out publicly or quietly, just make sure it counts. born2bebeautiful is taking a 2 week break and will be back on the 2 January 2014. Have a restful and peaceful break. I was once so concerned about my lack of creative thinking skills that I sent myself on a course, to learn how to think creatively. Of course I've since learned that "creative" is who you are, not what you do. Doing things, just gives your creativity expression. But you know, at the time it made sense to my "don't know how to do something-read a book-go on a course" self. And in my defence, I will say that it wasn't just me on that course, there were a few of us!I'm pleased to say that my creativity is alive and kicking and comes out to play regularly in my writing, my cooking and my make up. The point is, there was nothing wrong with my goal to become more creative, I just needed to realise there was more than one way to find my creative mojo. Sometimes, I think being a writer is like being a Pastor's wife- you never know what part of your business is going to end up being preached about on a Sunday morning. Anyhoo, in this week's post I'd like to share two personal experiences from my life about what to do, when you hit a bump in the road, on the way to achieving your goals. First up, I'd like to share my adventures in that special hell, known as "diet-land". That place where you can't actually eat what you want, but instead, subsist on things you really can't stand, all in the name of losing weight. I know I'm not alone here. I have tried every diet known to woman and actually performed community service, by devising a few of my own. There are many memorable ones, but my favourite? was the Atkins diet. You're allowed all kinds of protein, but no carbs. You're also expected to do a fair bit of exercising along the way. I lasted a week. I knew it was time to stop, when I was speaking to a friend and her arm started to look like a bread roll and I wondered what it would taste like, if I just took a little bite. I'm pretty certain cannibalism was not part of the plan, but by this stage I was hallucinating about carbs and if I hadn't stopped then, it was either eat my friend's arm or the treadmill and the treadmill didn't look nearly as tasty. I tried exercising like a mad thing, Weight Watchers, detoxing and a whole host of others. My goal was to lose weight, but I kept coming across obstacles, in the form of unsustainable diets. In my mind, I felt sure there was one super duper diet, which would help me meet my goal and I'd never have to diet again. Well, I came across an advert for one that I thought was just that. Imagine my surprise, annoyance and downright terror, when it turned out that it wasn't a diet, but something called 'mindful eating'. My first thought was "what is mindful eating?" Followed closely by "how am I ever going to lose weight, by eating what I want, when I'm hungry?" And lastly, "these people have stolen my money" Fast forward 7 years and I am pleased to say that I no longer diet and have given up my passport to diet-land. My goal wasn't just to lose weight (I'd managed to do that a couple of times). My real goal was to lose the weight and keep it off. The reason those diets were more like obstacles was because they couldn't help me with the second part of the goal. So, my first two lessons are "keep trying, until you find what works for you" and "don't be afraid to re-define your goal if you need to"
The next story I'd like to share is about my business. My passion is helping women to be the best that they can be. I found that when I told people what I do, more often than not, they would say "great, we really need that kind of help here". Unfortunately, it wasn't translating into clients. I did what I normally would do- read some books on strategy and marketing and sought advice. Still very slow on the client front. And then one day, I decided to go back to basics. What are my values around this business? What do I stand for? What is the reason this business exists? When I answered all these questions, my goal became crystal clear. I became a coach, in order to help women and girls , particularly those who have or who are experiencing violence and abuse. I started to wonder about the things in my business plan that didn't line up with that goal and the first place I got to, was my pricing structure. I started to wonder whether my pricing structure was putting off women who needed my help. So, I decided to be bold and do something unusual, which is, I let the client decide the value of the service I provide. I don't know how it's going to turn out, but I'm prepared to give it a go, because achieving my goal is important to me. And that leads me to my third lesson: "don't be afraid to do something bold and out of the ordinary". People may scoff, but at the end of the day it's your goal and only you know what price you are prepared to pay to achieve it. What do you want to achieve in 2014? What are the obstacles you see along the way? Do you need to change your goal or just how you get there? Are your goals challenging? Will they stretch you? My mum always says " if you're going to eat a frog, eat a fat one" I use that to say, don't play it safe, when you're setting goals, set courageous ones, that will change you as you pursue them. Would you like to turn in your passport to diet-land? Contact us through the website or call today on +234 706 335 0864 to find out about the Hungry Heart programme. If you'd like help with setting goals or dealing with an abusive relationship, then contact us through the website or on the phone as well. Monday the 25 November marked the beginning of 16 days of action to highlight violence against women and I heard a news report on Monday about the red shoe campaign in Italy. Each pair of red shoes symbolises a woman who has died as a result of violence against women. They showed over 100 pairs of shoes. That's over 100 women who have died at the hands of a partner or ex partner. That's over 100 women whose lives, hopes and dreams have been brought to a violent and premature end. That's over 100 women whose voices will not be heard, who will no longer be able to make a difference in the world around them. Women whose lives had value and who were created to be significant. As I listened to the report, the phrase 'less than' kept reverberating in my head. When abusers use emotional, psychological, financial, sexual or physical violence, it is because fundamentally, they believe that the victim is 'less than'. In the mind of the abuser, she is to be dominated and controlled. She is less than them, less than a person, less than human. Therefore, it seems quite reasonable to them, to use power and control tactics to get her to behave in the way that they would like. And in the case of the 2 women a week, who die as a result of domestic violence, these tactics do, on occasion have fatal consequences for the victim. Working as a coach, with women who are still in an abusive relationship means that sooner or later, I will have to do something that can be both shocking and frightening for most victims of domestic abuse. I have to talk to them about a safety plan. A safety plan is just what it says on the tin. It's the plan that the victim needs, in order to keep herself safe (as far as possible) in the abusive situation that she is in. I know some of you are probably thinking "forget the safety plan, just leave!" The truth is, a large proportion of the women who are killed, are killed either at the point they are leaving or after they have left. So leaving an abuser is not as safe as you might think. Talking to victims about a safety plan can be both shocking and frightening, because it means that they can no longer avoid facing the reality of the fact that not only are they in an abusive relationship; it is potentially a relationship that could kill them. I think you can understand why that's not a reality that anyone really wants to face. Between now and the 10 December, when the 16 day period ends, there will be lots of campaigns, lots of news and lots of awareness raising going on about violence against women. I'm not expecting that everyone will rush out and start a campaign or even join one. You don't have to. Given the fact that violence against women affects about 1 in every 4 women, there's probably someone much closer to home, who could do with your help. I used to think, people didn't get involved because they didn't know about the violence. Whilst I think that's still true in some cases, I think a lot of us don't get involved because we don't know what to do. We hear the screams, we see the bruises, but we're afraid of being called a busybody or of saying or doing the wrong thing. But one thing we can all do, is listen. Listen without judgement or imposing our own ideas on the victim. Trust me, there's nothing you could say that she hasn't thought of or said to herself a million times over. Just listen and be ready to offer the help that she asks for, when she needs it. When I work on a safety plan, I always secretly wish that I didn't have to. I wish that the abuser would see what they are doing, seek help and stop the abuse. Sadly, that doesn't happen very often. So I keep on with the safety planning, because her safety is more important than my discomfort. Are you or have you experienced abuse in your relationship? Would you like to speak to someone in confidence? Contact us through the website or call today on +234 706 335 0864. For those of us who wear glasses, there’s a part of the eye test where the optometrist takes your glasses and gives you some Spocky looking ones, that make everything blurred and unfocused. Then they do their magic, by adjusting the glasses and suddenly everything’s clear again. I had a moment like that this week, in relation to why it’s important to set goals. Conceptually, I know why it’s important to set goals (it would be nearly impossible to do my job as a coach; if I couldn’t help people set goals). However, personally, I struggle to translate that into any kind of long term plan for myself (see my confessional post of the 19 October 2013 for proof of that). This week though, I came across something that just brought everything into focus for me and might help me to get rid of that challenge. It’s a quote by Jim Rohn and it says “the major reason for setting a goal is for what it makes of you, to accomplish it. What it makes of you will always be the far greater value than what you get”. When I read that, a little light bulb went on in my head. I have always been someone who values the journey as well as the destination and this quote confirms the importance of that. The ‘how’ is even more valuable than the ‘what’. So this week, I’m sharing 3 valuable things that I think the journey to your goal will give you. First up is patience. The old adage says that “patience is a virtue”. Sadly, it’s in short supply these days. No-one wants to wait more than 5 minutes in a queue (myself included). If a book or article or tv programme doesn’t grab our attention in the first 5 minutes then we move on to the next thing. And if a goal looks like it’s taking too long to achieve, we may well end up ditching it and moving on to one that seems easier and quicker to achieve. It’s seems like we’ve lost sight of the fact that some things take a little longer to achieve than others and that patience is a very valuable by product of the process of working out our goals. I used to make a fruit cake every year for Christmas and part of the preparation was soaking dried fruit in alcohol for some time, before using it in the cake. I could have shortened the process, but it would have produced a substantially different cake! What lesson are you repeating over and over? What mountain have you been circling forever? Maybe you keep coming back there because you’re trying to short circuit the process. How about patiently staying with it and finally learning the lesson this time? The next value that I think the process gives you is purpose. Having a purpose in life is so important, but a lot of us wander through life without ever discovering what our purpose really is. I don’t know about you, but the days I waste the most are the ones I don’t plan. An unplanned day here or there, won’t really make that much of a difference. However, an unplanned month, 6 months or even a year is a very different kettle of fish. Imagine how much more we could achieve, just by being more purposeful with our time? I think I came unstuck with my one year plan, when I thought it had to be some grand, lofty sounding thing. Actually, just a simple statement of what I want to achieve and by when, is all I need. And rather than call it my ‘1 year plan’, I’m going to call it my ‘great big to-do list’. I have no problems with writing and following through on my to-do list, so if that’s what it takes to achieve a 1 year plan, then so be it. So whether you’re a high tech whizz or a pen and paper kind of a girl like me, just get going and come up with your own ‘great big to-do list’ or whatever you want to name it. As long as it changes you and the world around you, what you call it is irrelevant! Finally, setting a goal and going for it, helps you to position yourself properly. There are a whole host of wonderful things that need doing out there, but you don’t need to do them all. You shouldn’t be trying to do them all because (a) you don’t have the skills, talent or time and (b) if you do everything, you don’t leave space for other people to grow as well. Having a goal will help you be clearer about what you should and shouldn’t be doing. You know when you read about some perfectly accomplished woman who seems to be able to do everything and still look like she stepped out of the pages of a fashion magazine? You want to be her right? Not me, I just think “aaarrrggghhh, go away with your perfect life. Some of us are still on our journey and need to go and lie down in a darkened room right now!” Happily, now I’ve discovered the real reason why I need to set and pursue my goals, I can dispense with the voodoo dolls and evil thoughts and just get on, with walking my own path. Secure in the knowledge that going after my goals is going to change me for the better. The Christmas countdown has started already and before you know it, there will be a whole plethora of articles and blogs out there, telling you how to make 2014 your best year yet. I like to think of this quote as a fabulous early Christmas present that may finally help me to lose my fear of the long term plan. If you’re fed up making the same old New Year resolutions or goals, why not try something different? Why not think about some qualities or values you’d like to have and set a goal that will help you to achieve that? Qualities and values that will stay with you, long after you’ve achieved the goals. I’d love to hear your ideas, so drop me a line in the comments section. Not sure where to start? That’s okay, that’s where coaching can help you. By helping you get clear about where you want to go and who you want to become along the way. Contact us through the website or call on +234 706 335 0864, for your free 30 minute consultation. Until next week, be well and go well. What happens when no-one's looking? My 3 year old daughter is still at the stage where she thinks if she can’t see you (by virtue of putting her hands over her eyes or wearing sunglasses), then somehow, magically, she becomes invisible and you disappear. I can’t tell you how aggrieved she is, when she realises that not only are you still there, she’s not invisible either! Lest you fear that you’ve ended up in the wrong blog, let me put your mind at rest. This week I’m talking about values. Those principles we live our lives by, that we think are invisible to those around us. I’ve heard a lot about values in the past one week and I’ve come to the conclusion that invisible or not, it’s impossible to rise any higher than your values. Now that’s good news and it’s bad news. It’s good news if you want to improve yourself and your fundamental values are such that they allow you to excel. It’s bad news if you are trying to change external behaviour, without first of all knowing what your values are and whether they will in fact ‘let’ you change. Let me put it like this, it’s like making yourself a shell, strapping it on your back and telling everyone you’ve decided to become a tortoise and are going to start living like one now. A bit of a ridiculous image I know, but I think it shows really clearly, the futility of trying to live a life, that’s not in accordance with your basic values. As anyone who has tried to make lasting change in any area of their life knows, it’s impossible to do, unless it’s something you really want to do and it doesn’t conflict with who you really are inside. So the first thing is that we need to know what our values are. It’s amazing how many of us meander through life, not really clear about what our values are. I’m not saying that values don’t change. I think they become refined by life and experience, but fundamentally they are the same values you’ve always had. 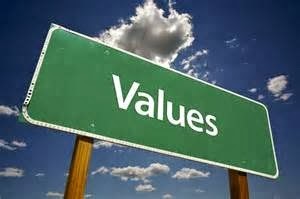 An exercise I do with coaching clients is ask them to identify their core values. Then I offer them the chance to swop up to three of them. We usually up end having an interesting conversation about what they have swopped and why. In the end though, it helps the client to really identify what their values are, rather than what they think they are or what they should be. It’s not about value judgements; it’s about understanding where you are, so any change you want to embark on has a better chance of succeeding. What are your values? When did you first select them? Have they stayed the same? Would you swop any of them? Why? These are questions we should all ask ourselves from time to time and certainly when we are faced with tough decisions to make. If we are unsure or unclear about what we stand for, we may end up in places that we would rather not be. I belong to a network of socially conscious professionals and entrepreneurs who want to transform the society we live in. Being a member of that group means I have to be clear about the values of the group, my own values and identify any mismatch. If I don’t it’s likely to end in anger and recrimination. And that leads me neatly to my last point. If you do the exercise above and it throws up some surprising answers, then what do you do? There are 2 choices as I see it. You can carry on trying to live a life that’s not in accordance with your values. My guess is that it would be quite a frustrating and unsatisfying experience. Or you could look honestly at those values, identify how helpful or useful they are, in helping you to achieve your life goals. If you decide they aren’t very useful or helpful, then you have a choice about whether or not to swop them for some that are. I say choice, because it’s still up to you to make the decision. For a lot of us, the pain of change outweighs the pain of staying the same and until that changes; we will be unsuccessful in making lasting change. The point is that people, don’t often state their values explicitly, but they always show. They show in the way we behave towards other people, the way we speak to others and the way we treat money and other possessions. The old adage says ‘actions speak louder than words’. What do your actions say about your values? Do you live your values every day, regardless of the circumstances or do you decide which ones to put on today, like a pair of shoes or a coat? In other words, what happens when no-one’s watching? A lot of questions this week, some uncomfortable ones as well, but questions I'm asking myself as well. If you’d like someone to come alongside you, to help you begin to explore your values, then a coach could be very useful. Contact us through the website or call on +234 706 335 0864 today, for a free 30 minute consultation. What have you got to lose? Do you remember the fairytale about Goldilocks? The rather naughty uninvited guest who tried mummy and daddy bear's porridge and chairs but ended up eating baby bear's porridge, breaking his chair and falling asleep in his bed, because it was just the right size. I bet about now, you're thinking, this woman has well and truly lost the plot, what's all this about Goldilocks? I can assure you that I am completely well and it will all make sense at the end. This week's post is about your gifts or talents and how they are just the right size for you. In other words, you have exactly what you need, to do what you were created to do. There's no-one better than you at being you and no-one can do what you were created to do, exactly like you. I have loved make up since I was a teenager. I had this piece of kit, that had everything you needed to do your whole face. I can't tell you the fun I had making up anyone who would sit still for me. I did myself, my friends, my mum's friends- no-one was safe! I'm sure if I saw pictures of my early work, I might cringe in embarrassment, but you know, it was the '80s and everyone had it like that (that's my story and I'm sticking to it). Fast forward to now and I'm a trained make up artist amongst other things. The thing is, I've recently been having a serious crisis of confidence. I see other artists' work and quite frankly I am panicked. I keep thinking, "aaarrrggghhh! my make doesn't look like that, no-one's going to want my style" I was in danger of losing my uniqueness along with my confidence. But this week, I heard something that helped me to get a grip and remind myself that I have everything I need to excel- if I remember to stay true to myself and operate from my gifts, which are my strengths. To use my own words, the speaker said your gift is the right size for you and it will get you, where you need to go. When I heard that I realised I had been wasting far too much time and energy in the land of 'gift envy'. That horrid place where we don't feel good enough and we spend an inordinate amount of time wishing we had someone else's talent, looked like someone else or basically had someone else's life! As anyone who is running hard after their dream will tell you, you have to run your own race and not someone else's. Is it always easy? No. Sometimes it will feel like you're not making any progress at all and everyone else is sprinting past you. The thing to remember though is that we are all at different stages in this thing called life. You don't know the times when they were just plodding along or had come to a complete stop. What we see is never the full story and when we start to envy people and wish we had what they have, we need to be careful, because we just might get it, pain and all. So how do we stay out of gift envyville? Simple. By starting from a position of strength- those things we do well. If we start from being naturally good at something, it's much easier to get to being excellent. If we start from bad or average at something, we're only really likely to become good enough. Why waste your time being average, when you could be excellent? So, while it's true that not everyone is going to like my style of make up, that's ok. Being different is not better or worse, it's just different. The world would be very boring indeed if we were all the same. If you've been fretting about being different and needing to be more like ....(you fill in the blanks). Stop right now, appreciate your gifts and your uniqueness and decide to be the absolute best at whatever it is you do well. You don't need a bigger or different gift, you just need to maximise the one you already have and it will get you where you want to go. Now before you start to panic, it's not those 'rules' from awhile back. Those scary dating rules whose sole purpose was to lobotomise you, in order for you to catch the man of your dreams- eeuurrgghhh! 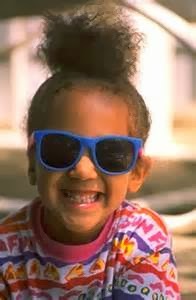 No, I'm talking about that general list of 'does' and 'don'ts' that we all have drummed into us from a very young age. My mum had this special rule about us not eating in other people's houses. So you'd be sitting there, they'd be offering you all kinds of scrummy things to eat, you'd be saying no, when you really wanted to say 'yes please!' Finally, mum would say okay, you can have some, but then give you the evil eye, which meant you were in big trouble. I still can't understand why we would get in trouble for that. Was there some kind of in invisible sign above our heads, telling her our true thoughts? This week's post is inspired by a member of staff, who came terribly unstuck the other day, because he didn't follow 'the rules'- namely, if you want to avoid getting stuck in quicksand, drive back the way you came! I'd sent this person on an errand and on his way back, he thought he'd found a shortcut home. Unfortunately, it turned out to be something closely resembling quicksand and in the twinkle of an eye, the car was firmly stuck. He was so distraught when he turned up, that it was impossible to be cross with him. My guess is, he's done this a 1000 times before and all that's happened is that he's found another route. But as he did it on this day, he ended up in a load of trouble. As I thought about his predicament, it reminded me of all the times, we break the rules. Sometimes, it works out well, other times, there are some pretty unpleasant consequences. So this week my question is: is breaking the rules a bad thing or can it be the best thing that ever happened to you? that I am actually very good at sticking to the rules- sometimes too good, if you listen to some of my loved ones! Rules are important in any community. They give us a sense of security and certainty. They give us the boundaries, within which we should operate. Without rules, there probably would be complete anarchy. Although, as anyone who drives in Lagos can tell you, you've never seen anarchy unless you've tried to navigate a Lagos roundabout. It's a sight to behold- literally a free for all melee of who can get there first. Not for the fainthearted I can tell you! However, no matter how useful they are for navigating a roundabout, follow them too rigidly in all areas of your life and you will end up one uncreative little bunny. In some areas of our lives, rules are meant to be used as guidelines, not laid down as the law. When your speech is full of 'musts' 'shoulds' and 'have toos', I know for sure that creativity has run for the hills. I guess now would be a good time to confess that I got thrown out of my cookery class for disobeying the rules. We were supposed to be making rock cakes and I thought the recipe could do with a bit of livening up. So I substituted a couple of things here and there, added my own touches and voila, I had rock cakes so hard, they were actual rocks! The cookery teacher suggested that I might like to try sewing (epic fail, but that's a story for another day). Yup, I was bounced from cookery class. Until this very day, I still consider recipes to be a very loose guideline for cooking and it is my sworn duty to play around with them. Here's the thing though, when you know the 'rules', it frees you to be more creative. When you know the basics, then you know where and how to play around. Because you know what it should be like, you can use the rules as a reference point. Can it end up in an epic fail sometimes? Absolutely. Can you discover another 100 ways to make rock cakes even more delicious? Absolutely, absolutely. I think the difference between us mere mortals and serial innovators the fact that they realise rules are just guidelines and you should never allow them to stifle your creativity. We need all kinds of people to make the world go round, including those who thumb their noses at the rules and go off and create beautiful things for the rest of us to admire. Personally, I also think that a lot of us are more creative than we give ourselves credit for , but we allow our talents to be stifled by the 'rules'. My sister is an accountant, but she also makes the prettiest jewellery. Happily, she's found a way to express her creative side as well as her more serious self and in so doing is a lot more content than a lot of people I know. Believe it or not, I have certain rules around writing my blogs each week. This week though, in the spirit of the blog, I say 'pah' to rules and am writing just what's swirling around in my head. This week I challenge you and myself to examine the rules we're abiding by in our lives. Are they still helpful? Does following them lead you closer to your dream or further away? Are the rules allowing you to release your most creative side or are they keeping you stuck? As you do this exercise, I hope it helps you to re-acquaint yourself with your childlike and most creative self. Not sure you have a creative side or just bogged down by the rules? If that sounds like you, contact us through the website, for your free 30 minute session, that will hopefully get you started on your path to freedom.